The news about a remake of dark comic book movie The Crow first popped up a decade ago, though there wasn’t any real movement on it until two years later when original Crow producer Edward Pressman teased that he was trying to get a “major actor” for the title role and that filming would begin later that year. That was 2010, and we didn’t hear about The Crow again until 2014 when Pressman declared that production would start later that year. Rumors began to swirl that Luke Evans would star as The Crow himself, and then filmmaker Corin Hardy was named as the remake’s director (a job he got partly because of a glowing recommendation from Edgar Wright). Then Evans dropped out and Jack Huston flew in to replace him. Then Huston dropped out and the bankruptcy of production company Relativity Media put the film on indefinite hold. Then Hardy dropped out. Then Jason Momoa got on board, Hardy came back, and Sony picked up The Crow, suggesting that—after seven long years—the movie was really, finally going to happen. But surely none of us were foolish enough to really believe that. This is The Crow, after all, not a movie we all knew would someday get made like Terry Gilliam’s The Man Who Killed Don Quixote. According to Deadline’s sources, both Momoa and Hardy “formally withdrew” from The Crow today just as Sony was about to back out, effectively killing the project once again. It all apparently came down to “creative and financial differences” with rights holder Samuel Hadida, who couldn’t or wouldn’t work out a distribution deal with Sony. 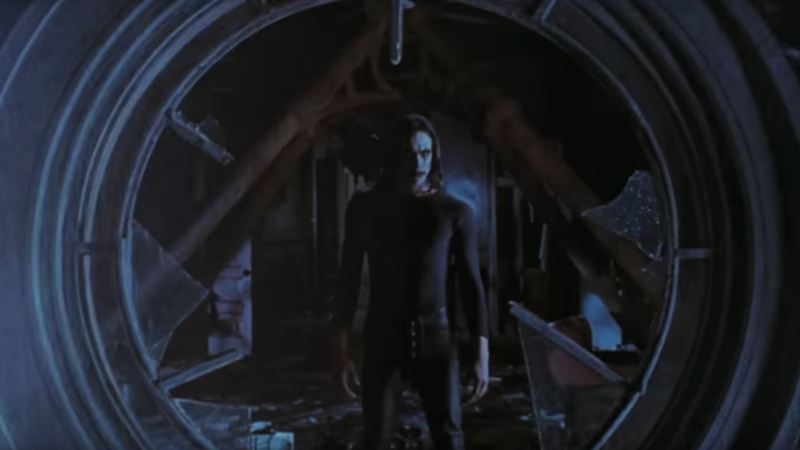 So now we must once again close the book on The Crow, at least until Edward Pressman comes back with more vague teases about how it’s definitely still going to happen. San Diego Comic-Con is coming up, so maybe he’ll be there and somebody can talk to him about The Crow? We’d just hate to give up on this story after reporting on it for 10 years.